Nightly Coding; » Game » New HTML5 game on Codecanyon Magic Words! 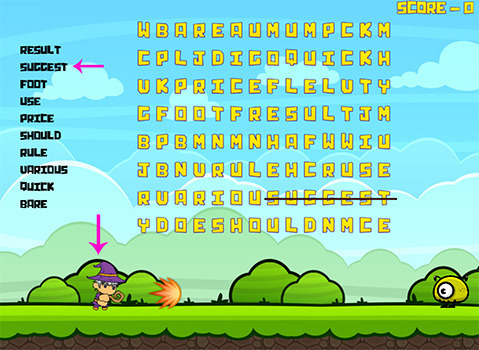 New HTML5 game on Codecanyon Magic Words! I’m proudly announcing my new game on Codecanyon called Magic Words! Is actually two games molded into one pack! Magic Words – Word Scramble! Magic Words – Word Scramble contains a word scramble game where the player has to find the scrambled word in order to survive from monsters. Magic Words – Word Find! Magic Words – Word Find is a word game where the player must find hidden words between letters in order to defend from monsters. Please rate if you enjoyed it! Tagged envato, html5, magic words, phaser, Phaser.io, word game, word-find. Bookmark the permalink.